Thanks to Sri Guruvayurappan for sending this great video. Although I have heard his name, honestly, I haven’t been following him. 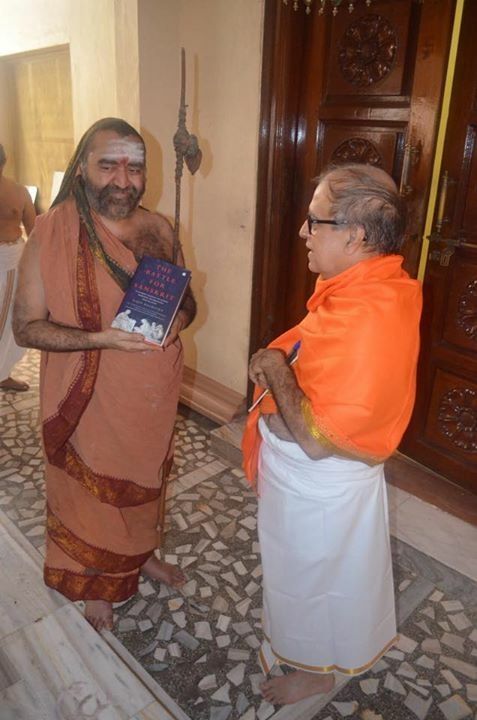 I listened to his speech to some degree – haven’t completed. He is truly concerned about lot of hypocrisy that’s been going on around this. 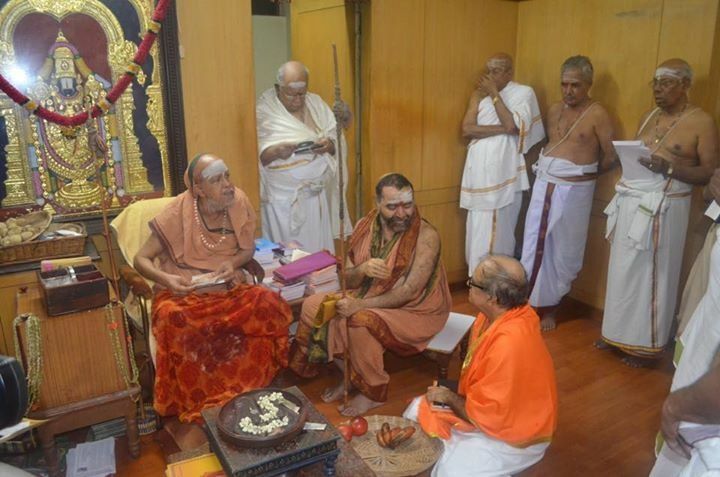 It is very heartening to know that his conversation with Sringeri Acharyal had made an impact that they had not implemented some of their original plans. 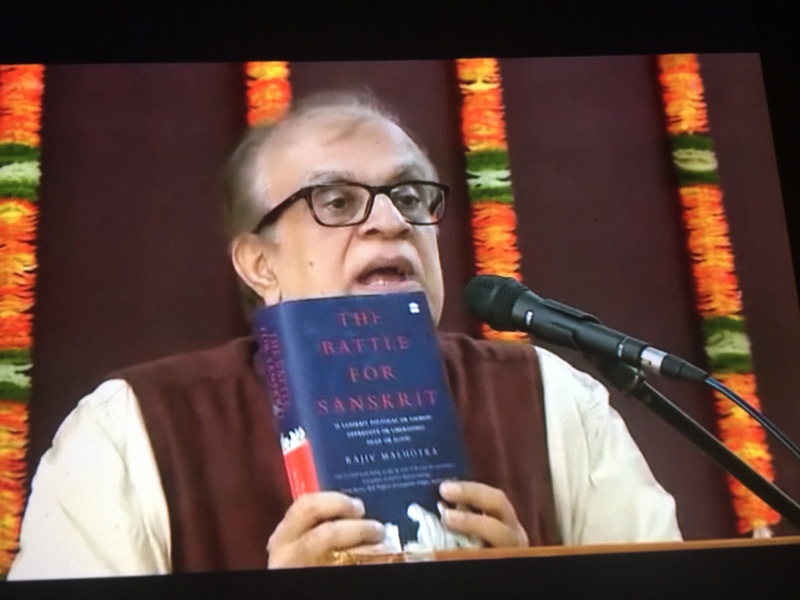 I think we all should get this book and read to understand the struggle for Sanskrit and the future of sanskrit, the deva basha and how/what we need to do support this cause. 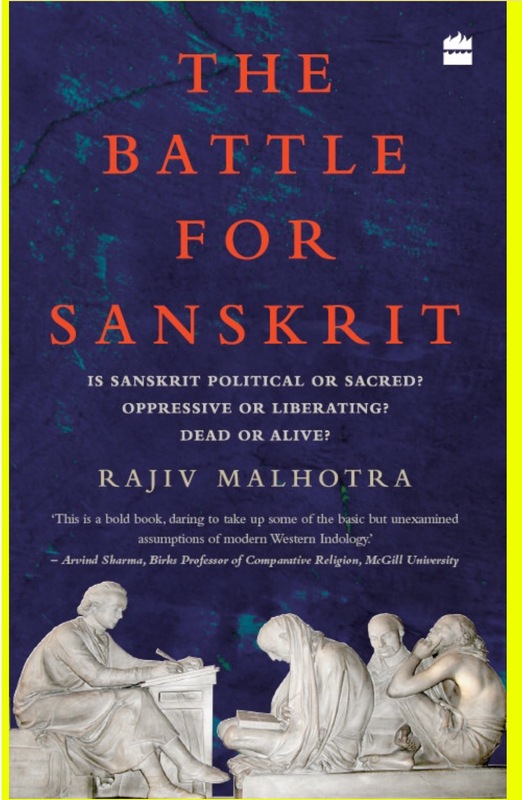 This entry was posted in General, Spiritual and tagged Adhikaar, Battle for Sanskrit, Rajiv Malhotra, Vedic traditions. Bookmark the permalink.